We look forward to welcoming you to an event. Have you missed an event or are prevented from attending an appointment? No problem, we would also like to invite you to a factory tour in Switzerland or China. Let us invite you to visit the exhibition TRAKO 2017 which will take place in Gdansk from 24 to 27 September. We are together with our polish marketing partners B+L on site. InnoTrans is the leading international trade fair for transport technology and takes places every two years in Berlin. Sub-divided into the five segments Railway Technology, Railway Infrastructure, Public Transport, Interiors and Tunnel Construction, InnoTrans occupies all 40 halls available at Berlin Exhibition Grounds. The eleventh InnoTrans will take place from 18 to 21 September 2018. From the 6th to the 8th of March the IT Trans, the leading exhibition on intelligent solutions for public transport, takes place. Pixy AG is also exhibiting this year. You will find us in position J12 at the dm-Arena in Karlsruhe. You can expect our latest product developments in the railway market. Let us convince you. We are looking forward to your visit. Apta Expo will be held from 9-11 October in Atlanta. Pixy will be represented with a booth. We are very proud to present you our innovative products. Come and visit us at our stand in hall C.
Let us invite you to visit the exhibition TRAKO 2017 which will take place in Gdansk from 26 to 29 September. We are together with our polish marketing partners B+L on site. From 20 to 23 September, the world's largest trade fair for railway and traffic technology will take place on the grounds of Messe Berlin. From Tuesday to Friday, trade visitors can admire the latest trends and innovations. Let us invite you to visit the exhibition of international fair of railway technology and services Czech Raildays 2014 which will take place in Ostrava from 17 to 19 June. We are together with our czech marketing partners Railcomp on site. 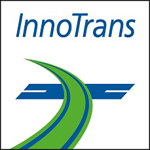 This year's International Trade Fair for Transport Technology «InnoTrans» will be held in Berlin from the 18th to the 21st of September 2012 – we are all fired up in anticipation for this special event. Naturally, Pixy will be represented with an exhibition stand. You will find us in Hall 2.2 - Stand 210.